To unlock or get the Social Media Star achievement, Bitizens need to gain a million followers on social media. You can easily gain over a million followers if you follow this stratgey guide. All you need to do is get at the actor position and once you hit the lead actor position, you will see a big rise in followers numbers every year. If all things go in the right way, you will be having a million followers at the age of 50 or less. 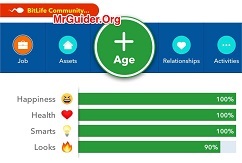 Let’s learn everything in details; BitLife – Life Simulator – How to become a social media star and gain a million followers? Start with a character having 90+ stats in all the attributes; looks, happiness, smart, and health. You can start a new life anytime; tap the menu button -> start a random life. In each new life, your character gets different stats. To complete the social media star achievement or challenge, you need a million followers. And, working as an actor is the best way to gain millions of followers in a short span of time. We have already shared the complete guide to becoming an actor in our old post. ⇒ Check Here(How to become an actor). To join the social media, you tap the activity button -> scroll down and find the social media option -> tap on it and choose to join. This may be an annoying thing for some people. 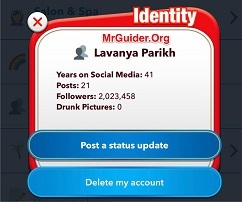 Because when you join social media, the game tells you to share BitLife app with your friends or on social media accounts. 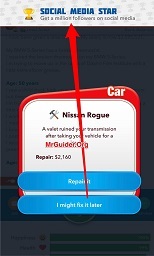 And, whenever you want to post an update on Social Media, BitLife will force you to send a message to a friend. But if you want to be a social media star, you will need to do this. We have not experienced this social media function on the Android version yet. But, On the iOS version, it does force you. If you don’t want to send the message over and over again, turn on the airplane mode and connect to Wi-Fi. Basically, you start the acting career as a voiceover actor. And, it would not help you to gain a million followers. As you work on this post a few years, you get the Lead Actor title, which really helps you to gain a million followers. Go to the activity tab -> scroll down and look for the social media option -> tap it and choose to post an update. You have to do it every year, at least once. However, it does not help you too much in gaining a huge number of followers. You will not see a huge gain in the number of followers in the early stage(Lead Actor). But, as you progress or get rich, you will start getting a huge number of followers. To speed up things, we would recommend you to buy the cars, invest in real estate, and keep all the stats; happiness, smart, looks, and health at max. (All stats should be above 90). If you get into this career, you can also complete some more achievements; Rich, Super Rich, Millionaire etc. So these are the top tips to become a social media star in BitLife game. Also, keep in mind that this is not the only way to get this achievement. You can try into other careers. But, we would recommend you to go with this as it helps you to get the Social Media Star achievement easily. How do I become Fire Chief?